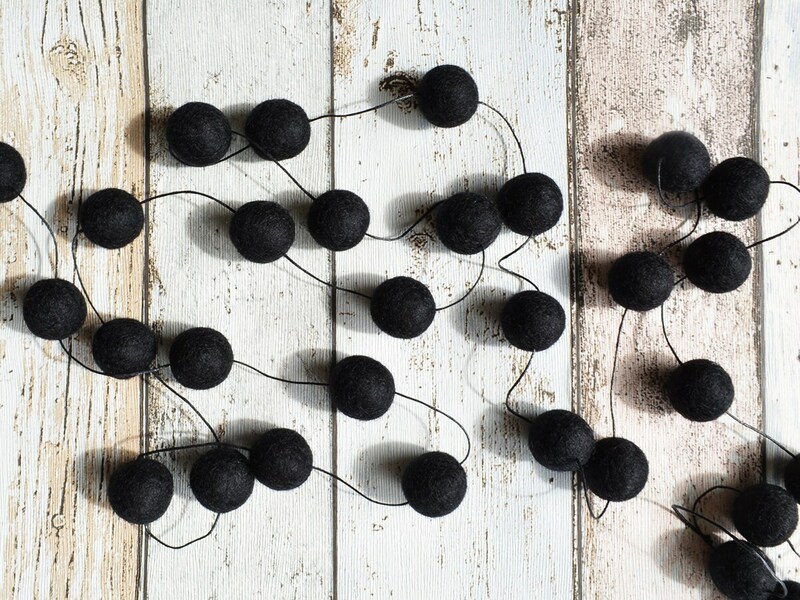 A garland for the Minimalist with all Black felted wool balls. 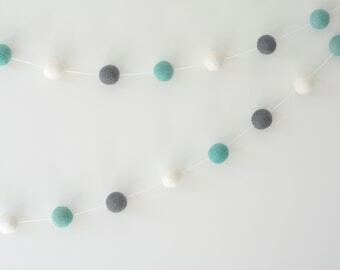 A perfect addition to the monochrome nursery or add interest to your living areas. 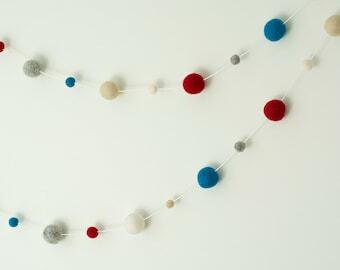 Add a bunch of Felt Pom Flowers to match! 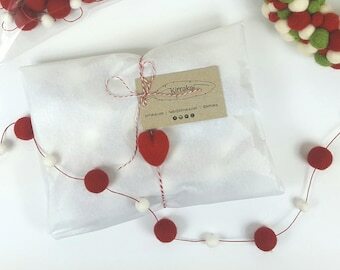 Made by hand using beautiful eco-friendly pure wool Felt Balls carefully threaded onto a Black premium quality waxed cotton cord in our solar powered studio in beautiful sunny Brisbane Australia.